Baxter Arena will play host to two of the most popular “redneck” comedians on Friday. Jeff Foxworthy and Larry the Cable Guy will be performing their “blue collar” routines at the University of Nebraska at Omaha’s new arena as part of their “We’ve Been Thinkin” tour. The comedians are known for their personal family stories with a “red-neck,” country theme. Each has a catch phrase or a specific routine that they are most well-known for. 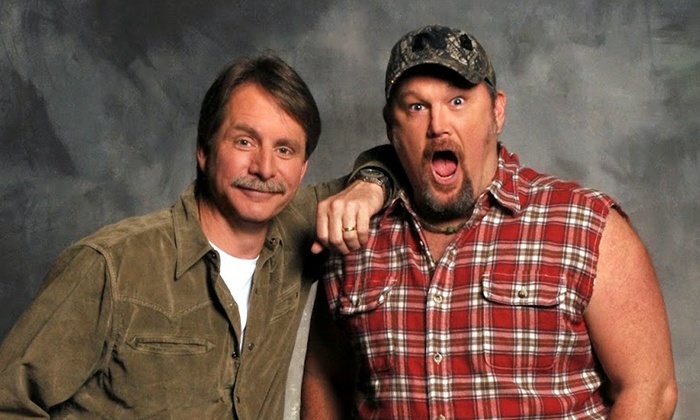 Larry the Cable Guy is well known for his “Git-R-Done” routine and Foxworthy for his “You Might be a Redneck” routine. Larry the Cable Guy hails from Pawnee City, Neb. and didn’t make it as a stand-up comedian until he developed his southern, redneck stage persona. He has said that he uses the fake Southern accent both on and off stage so he doesn’t slip back into his Midwestern accent. Previous articleLooking for a way to get out of your parking ticket?